Work Clean je opravdu zajímavá kniha. Dan Charnas totiž sledoval stovky profesionálních kuchařů a šéfkuchařů, jejich zvyky a práci v kuchyni (i mimo ní) a z toho se pak snažil vytáhnout určité znaky, které bychom mohli použit i my, kteří se v kuchyni zrovna nepohybujeme. V první řadě mě fakt bavilo dozvídat se, s čím vlastně špičkoví kuchaři bojují na dennodenní bázi, a určitě pro ně mám nově nabytý respekt. Co se týče samotných charakteristik „čisté práce“, spousta věcí mě utvrdila v tom, na co jsem si už přišel sám, nebo mě donutila se nad nimi více zamyslet. Kniha mi potvrdila například to, že pouze To-Do list nestačí, ale je potřeba ho zasadit do časového kontextu. 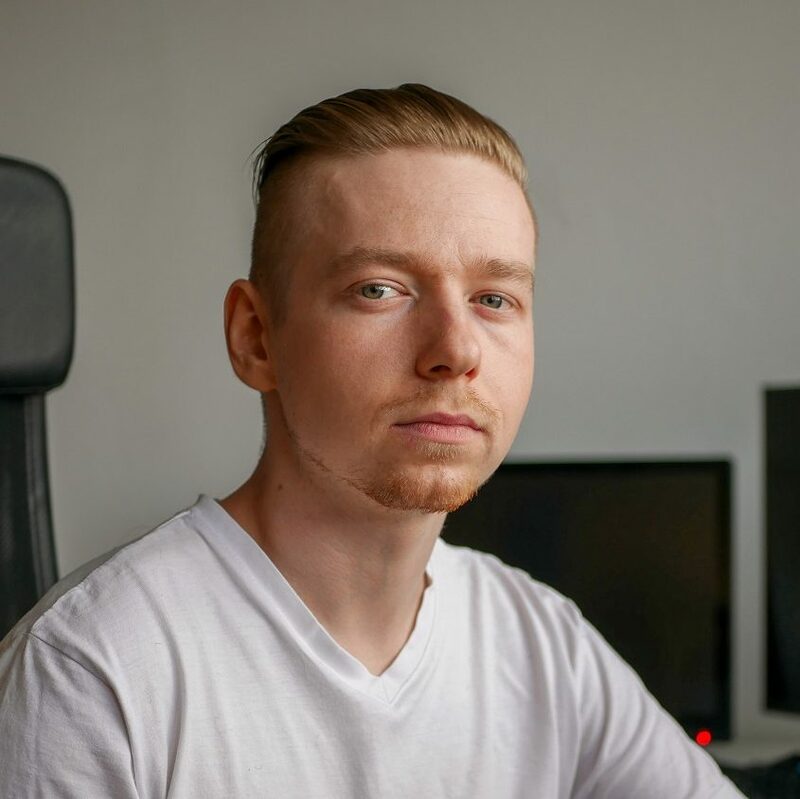 Tohle si uvědomuju už od začátku roku, kdy jsem klasický zápisník nahradil za týdenní kalendář s prázdnými stránkami na To-Dočka. Jednotlivé úkoly si tak navíc ukládám do časových bloků v průběhu dne a tím pádem se mi lépe odhaduje, co je v mých silách stihnout. Dan tu také rozlišuje dva typy úkolů – procesy a pohlcující práce. Běžně se říká, že máte začít den tím nejtěžším úkolem („Eat that frog first!“), což je zpravidla právě ta pohlcující práce (třeba vytváření obsahu). Dan ale doporučuje řídit se kuchaři a raději začít procesy, které budou pracovat a kompletovat se v pozadí (v kuchyni to může být třeba dát vařit vývar, v naší branži pak třeba zadat poptávku na outsourcing), zatím co my budeme pracovat právě na té pohlcující práci. Tím budeme lépe pracovat s časem, nebudeme blokovat práci ostatních a vše se daleko zrychlí. Moc se mi také líbilo, že v těch nejlepších kuchyních to funguje tak, že šéfkuchař nefiguruje jen jako nějaký boss nebo manažer, ale také jako mentor a učitel. A ti nejlepší kuchaři (kteří aspirují na to být šéfkuchaři ve vlastních podnicích) musí být neustále otevření učení se od nich. Tenhle vztah by se podle mě měl přenést do všech oblastí. Všichni zaměstnanci by měli být učňové a přijímat (konstruktivní) kritiku jako možnost dalšího růstu a ne jako nějaké buzerování. Pokud kuchař uvaří jídlo na 90 %, pořád není hotové a nemůže ho tak vydat. Jedná se o čistě binární výsledek: Buď je jídlo nehotové (0 % až 99 %) nebo hotové (100 %). Stejně to platí i na webu. Když mám obří článek o 8 tisíc slov připravený k závěrečné revizi, cítím že už je hotovo a zvolňuju tempo. Ale to je špatně. Je úplně jedno, jestli chybí poslední úpravy nebo jsem nenapsal ještě ani jedno slovo – čtenářovi článek nemůže pomoci, dokud není publikovaný na webu. 0 % vs 100 % má stejný výsledek jako 90 % vs 100 %. Takže je potřeba vždycky všechno dotáhnout do toho úplného konce a neodkládat takové ty finiše typu „to už je hračka, to mám za chvíli“ na později. Commit to being honest with time. Plan daily. Commit to setting your station and reducing impediments to your movements and activities. Remove friction. Commit to maintaining your system. Always be cleaning. Commit to using time to your benefit. Start now. Commit to delivering. When a task is nearly done, finish it. Always be unblocking. Commit to working smoothly and steadily. Use physical order to restore mental order. Don’t rush. Commit to balancing internal and external awareness. Stay alert. Commit to coaching yourself, to being coached, and to coaching others. Evaluate yourself. Commit to valuing space, time, energy, resources, and people. Waste nothing. 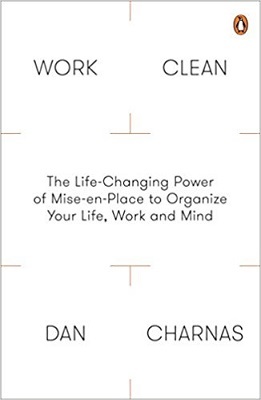 But we remain overwhelmed by the amount of work we have to do, and a big part of our being overwhelmed comes because we have never been taught how to manage that work. Even doctors and lawyers confide that they didn’t learn many of the essentials of their professions in school. Near the top of that list for them, and for us, is how to prepare, how to create order, and how to prioritize the work at hand. For Thomas Keller, working clean isn’t just about cleanliness, or order, or minimalism. It is about practicing values. What are your standards? What habits make you successful? How strongly are you willing to hold on to your regimen of good habits in a world that will tempt you to ditch them, often without any immediate consequence? How much are you willing to keep your own focus despite the chaos around you? This is what it means to work clean. THE THREE VALUES OF MISE-EN-PLACE Mise-en-place comprises three central values: preparation, process, and presence. When practiced by great chefs, these three mundane words become profound. They have formed the core of the conscious chef’s work since the time of the tenzo, and they still drive the lives of contemporary chefs. The by-product of these values may indeed be wealth or productivity, but the true goal is excellence. Good process must not only make the work better but also make you better. Excellence arises from refining good process—how can I do this better, or easier, or with less waste? It’s a job, like preparation, that never ends. Finally, committing to be present means that chefs cultivate discreteness, boundaries between their work and their personal lives. To being either in or out, on or off. When we work, we put our all into it. When we play, we don’t hang on to work. Wherever we are, we’re there. These three values—preparation, process, and presence—aren’t ideals to admire and applaud. They must be practiced—and can be, by anyone, anywhere. Being scrupulous with time means more than creating a list. Making a list is only half the job of planning. To complete the other half, the chef must square that list with the clock. How much time will this take? How many things can I do in time given my resources? When, exactly, will I do them, and in what order? Chefs cannot afford to take too many chances in the careful balance between time and tasks. Time forces them to make decisions. Experienced students unpack nested tasks and break them down into their component actions. Then they put them in sequence. Begin this habit by creating the first of many handy checklists to smooth your way through your day. Step One. Select a task, errand, or routine that you do often. Step Two. Break it down into 10 steps or fewer. Checklists are more effective when they are shorter; if your task has too many steps, try this exercise with another task that has fewer. Step Three. Determine the kind of checklist you need. Gawande divides checklists into two distinct groups. Read-Do—read the checklist item, then do the item Do-Confirm—do all the items and then use the checklist afterward to confirm You can also think of these as preflight and postflight checklists. Step Four: Test your checklist by using it three times. Step Five: Each time you finish the checklist, note any additions or modifications you realized you need to make. Remember, anything that needs your input or feedback on a project to keep it moving forward is process work. Begin each day with 30 minutes of scheduled process time—starting, unlocking, and unblocking the work of others. Use your process time for communication, requests, and the like. Try to constrain check-ins during immersive time. Alternate blocks of process and immersive work throughout your day. The more management responsibilities you have, the more process time you need in your day. The present has incalculably more value than the future. Starting is, in effect, a shortcut. A dish that is 90 percent finished has the same worth as a dish that is zero percent finished. We judge the finishable by two parameters: ease and expectation. Ease is time plus energy: How quickly can we finish something, modulated by how much or how little energy we expend in that time? Expectation is deadline plus stakeholders: Who is waiting for our product, and when do they expect it? High-expectation and high-ease tasks are finishable. Low-expectation and low-ease tasks are delayable. Low-expectation and high-ease tasks are distracting. And high-expectation and low-ease tasks are the complex tasks that most need scheduling. Striving for perfection and perfectionism aren’t the same thing. Both the striver and the perfectionist aim toward an ideal. But the striver knows that excellence is not about creating something of the highest quality; it’s delivering something of the highest quality, with all the constraints that delivery entails—deadlines, expectations, contingencies, feedback. Inspect and correct is how the chef approaches perfection, “approach” being the operative word in that phrase, because perfection is never achieved. At most, what the great chef can accomplish is meticulous execution, a phrase that kitchen designer Jimi Yui borrowed from Chef Gray Kunz. Meticulous execution encompasses the ambition of a chef, but also a bit of her stoicism: You can only do what you can do. Get your most important spaces in order because space is precious. Practice and perfect the motions that make sense to refine because your energy is precious. Honor time because you’re not getting any more of it. Use your resources wisely because ultimately we all must share them. And treat each other with care. Value #1: Commit to preparation with a 30-minute daily planning session. Value #2: Commit to a process that makes you better. Value #3: Commit to being present in whatever you do. Productivity is not the solution to all problems. Humans are beings with other commitments and considerations. We need work and we need rest. We need periods of focus and also times of aimlessness. We need time for ourselves and time for others. Without balance, the work will suffer in the long term anyway. Committing to productivity alone is like committing to only inhaling, never exhaling. That kind of commitment will kill you. Opposite the process fetishists are the process dodgers. To these folks, the idea of following schedules, checklists, and rules—even if they created them—connotes banality, drudgery, and boredom. Process dodgers believe they are artists, and that creativity needs complete freedom. But true creatives—the people who actually make the food, the art, the architecture, the products, and the services we enjoy—understand that excellence comes from cultivating a craft through dedicated, dogged practice. True artists have a process. The product of our commitment to the right process—fed by knowledge and guarded by empathy—is a real work ethic. Committing to presence means that we cultivate discreteness, boundaries between our work and our personal lives. We don’t lose focus and do a bunch of mindless personal stuff to disengage at work. And we don’t check our work e-mail when we get bored while we’re playing with our kids. We avoid scattering our energies in a way that prevents our full presence in either setting. We are “in” or “out,” “on” or “off.” Wherever we are, we’re there.